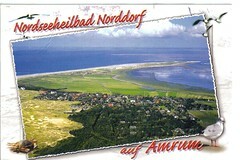 A Postcrossing post card from Ulrike in Germany, who is currently on holidays on the island pictured on this card. Thanks for the card, Ulrike! Next Next post: "Drive In … Drive Out"